Renauda has been relying on MetroLink and MetroBus to connect her to with her education — and her future. In the past, she used MetroLink to get to and from high school. Now, Renauda now relies on the bus and the train to get her to and from Southwestern Illinois College (SWIC) in Belleville, Illinois. To make it to class during the week, Renauda boards the #1 Main Street-State Street bus from her home and rides to the Fairview Heights MetroLink Station. From there, she boards a Red Line MetroLink train and it’s a quick ride to the College MetroLink Station, where SWIC is just steps away. 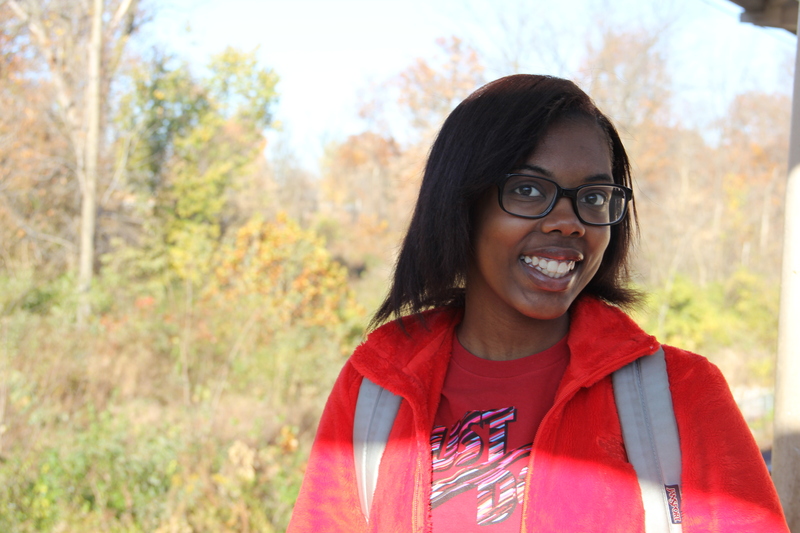 Renauda is currently a freshman and plans to get a degree in early childhood education. While Renauda does try and fit a bit of studying into her commute, it’s not all she does on her transit trips. To her, MetroLink and MetroBus have been consistent and convenient transportation options. “Metro always gets me to my destination, safely and without problems,” she said. Since Renauda has been riding the bus and train for some time, she’s become a bit of a transit expert, and she has a few tips for those of you thinking about boarding a bus or train for the first time.